Healthy joints are crucial to soundness. Here is expert advice for keeping your horse moving well. Horses are made to move—and they do so magnificently. We take their innate talent and fine-tune their abilities to suit our purposes in a wide range of riding sports, and joint health plays a major role in a horse staying sound over the years. Steve Fisch, DVM, who owns and practices at AVS Equine Hospital in Tallahassee, Fla., particularly enjoys the challenges of diagnosing and treating equine lameness and practicing equine sports medicine. 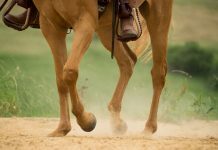 For a lifetime of well-managed equine soundness, he shares his advice on what you can do to protect your horse’s joints. Fisch points out that soundness (or lameness) really begins at conception, starting with how the mare is fed. Later, once young foals are eating their own ration, a diet formulated for growing horses at their particular stage of life is required. Many problems that are a result of inadequate nutrition from these earliest times won’t show up until the resulting foal is in training as a 2-year-old or older. In addition to early nutrition, it’s important to pay close attention to the foal’s leg conformation and evaluate it regularly. Some angular limb deformities can be completely corrected with proper trimming when the foal is young. If not addressed, even slight deformities can compromise soundness and/or performance when the horse is an adult. Fisch is a believer in the benefits of allowing young horses to exercise freely on pasture. For any horse, barefoot or shod, regular appointments with a hoof care professional are essential. If feet are not balanced, the horse will land unevenly, placing stress and abnormal concussion on his joints. In addition to quality hoof care, an appropriate exercise program is a vital part of staying sound. A major cause of joint problems in horses age 2 and older is that the horse is not fit enough for his job. The supporting ligaments and tendons must be strong enough to keep the joints in alignment, and the only way they can get strong enough is to use them. Too much or too vigorous of exercise, however, can cause problems. For example, cannon bones become more dense and ligaments get stronger with stress and speed, but when workouts are too long or too frequent, it’s counterproductive. 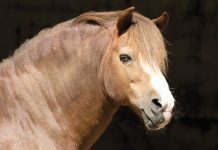 “A horse’s body is made so that the heart, lungs, tendons, ligaments, bones and joints become strong enough to support the maximum effort they are asked to give,” says Fisch. A synovial joint is a freely movable joint where two bones come together. Synovial joints are most vulnerable to injury and disease because they are high-motion joints in weight-bearing areas associated with the horse’s limbs. Synovial joints have a cavity lined by a membrane and are lubricated by synovial fluid. Examples include the knee, fetlock, pastern, hock and stifle. “The first sign of trouble is usually effusion or swelling,” says Fisch. Excess joint fluid is a result of inflammation in the joint. The sooner a problem is diagnosed, the sooner the damage caused by inflammation can be stopped. This means having the horse examined by your veterinarian as soon as you suspect a joint problem. The goal is to return the joint’s environment to normal as soon as possible and hopefully avoid long-term damage. An accurate diagnosis is essential for accurate treatment, whatever the horse’s age. Your veterinarian should start with a thorough hands-on exam and may use various methods to pinpoint joint problems. 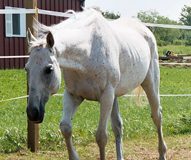 A lameness exam consists of watching the horse move in a straight line and clockwise and counterclockwise circles to identify the affected leg. From that point, the area causing the lameness is further narrowed down with flexion tests, diagnostic nerve/joint blocks, radiographs, ultrasound, et cetera. More advanced options could include doing a bone scan (nuclear imaging), CT, MRI and diagnostic arthroscopy. These include thin soles (which can indirectly cause inflammation in the coffin joint) and strained or torn ligaments or tendons that support the synovial joints. Inflammation is the body’s way of addressing a problem, but it can lead to breakdown and eventual erosion of a joint’s articular cartilage. Cartilage is designed to protect bone, and when cartilage is destroyed, the horse feels pain. 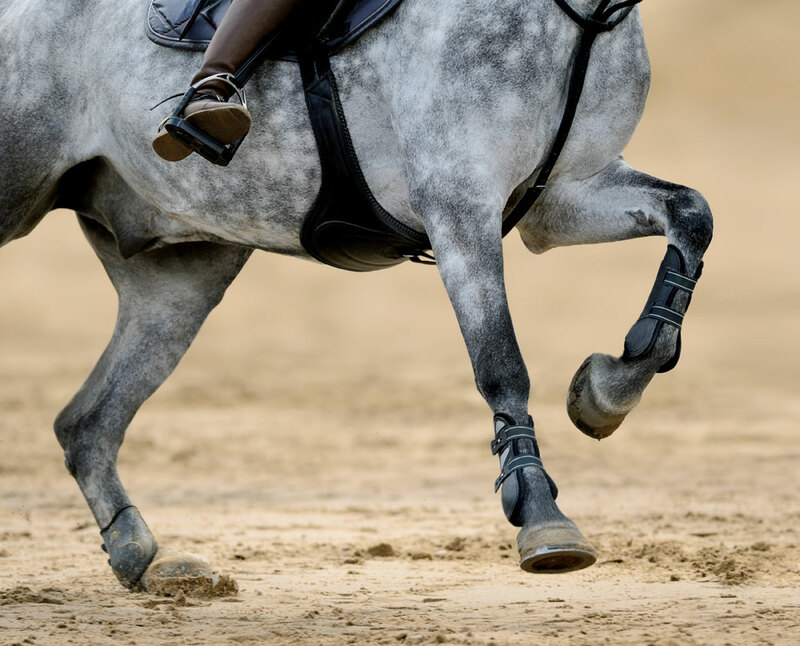 A horse in pain naturally tries to limit his activity, but this lack of movement reduces circulation to the injured joint, making it more difficult for the body to heal. If this vicious cycle isn’t interrupted with treatment, the horse can end up with permanent joint damage. If untreated, articular cartilage damage can develop into osteoarthritis (OA), also known as degenerative joint disease (DJD). When this happens, the problem can only be managed, not cured. This is why it’s so important to control inflammation and return the joint to normal condition as quickly as possible. Depending on the diagnosis, your veterinarian may choose to inject the joint(s), but there are a multitude of options available. “In some instances, a program of intramuscular injections of polysulfated glycosaminoglycan (brand name Adequan), or intravenous injections of hyaluronate sodium (brand name Legend), can be used as the sole treatment,” says Fisch, adding that these are sometimes used in conjunction with bisphosphonates (brand names Osphos and Tildren), which are designed to reduce bone breakdown. Adequan works by supplying some of the building blocks of the articular cartilage and also by helping the joint produce its own hyaluronate. Legend works to increase the hyaluronate level of the joint, allowing the joint to be better lubricated. Just like in your car’s engine, lubrication helps prevent friction. Friction causes breakdown of the cartilage. Intra-articular injection of hyaluronic acid (HA) and triamcinolone help lubricate the joint and decrease inflammation. Triamcinolone has been shown to be chondroprotective (helps slow degradation of cartilage). Some steroids have negative long-term effects on the cartilage. 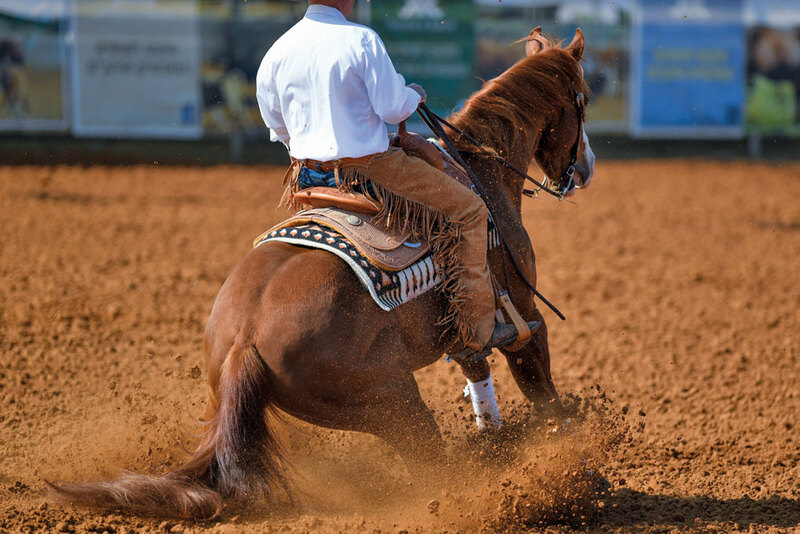 Some owners of performance horses take a preventive approach to joint injections, hoping to avoid future joint problems, but Fisch says there’s no scientific evidence that injecting a normal joint will prolong joint life or improve performance. 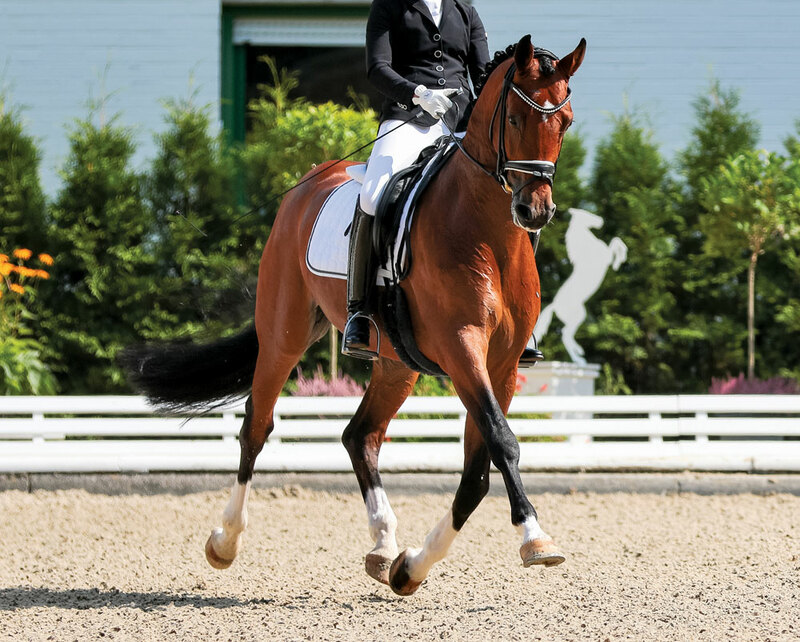 “If the joint has a very small amount of OA but the horse is not lame, then preventive joint injections may slow down the process of OA by keeping the joint environment [consisting of the joint fluid and articular cartilage] more healthy than it would be with no injections, and possibly keep him from becoming lame,” says Fisch. He adds that such preventive injections cause no harm as long as chondroprotective medications such as HA and triamcinolone are used. Horses in the wild are constantly moving at a slow pace throughout the day, walking and grazing. 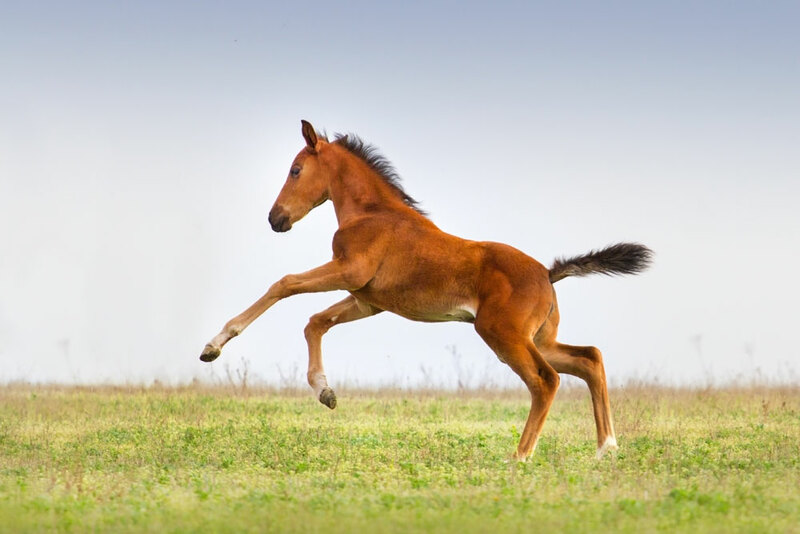 To combat that stress, many horse owners turn to oral supplementation, hoping to supply the horse’s body with the ingredients needed to maintain healthy joints. Here’s a quick look at some common ingredients and what they do. Glucosamine is the building block of chondroitin sulfate, a type of glycosaminoglycan (GAG). Research shows glucosamine has two important actions in joints. Not only does it support the production of new GAGs and therefore new cartilage, glucosamine also inhibits the enzymes that break down cartilage. Chondroitin sulfate is naturally synthesized by chondrocytes, the living cells inside cartilage. Chondroitin sulfate is the building block of the much larger proteoglycan molecule, stimulating the production of cartilage while also blocking pathways of cartilage destruction. Hyaluronic acid is another glycosaminoglycan synthesized by both the chondrocyte cells in cartilage and by the synoviocyte cells in the joint lining. An integral component of both joint cartilage and joint fluid, it provides lubrication and shock absorption between surfaces. Methylsulfonylmethane (MSM) supports a normal inflammatory response and neutralizes free radicals through its potent antioxidant activity. enzyme in the synthesis of connective tissues such as cartilage, bones, tendons, and ligaments. Devil’s claw, yucca, and boswellia are herbs commonly used to fight discomfort in joints and to support a normal response to inflammation. When choosing a supplement, notice if the label bears the National Animal Supplement Council (NASC) Seal of Quality. Only NASC member companies that have been audited for manufacturing, labeling and adverse event reporting are permitted to use this seal. Since joint supplements are intended to support normal healthy joint fluid and tissues, the best time to begin using one is before a horse starts having issues. “Although some owners report seeing positive results in as little as two to three weeks, we generally recommend giving a joint supplement six to eight weeks for full benefits,” says Gray. If you suspect your horse may have joint arthritis, work with your vet to diagnose the exact location and determine the best course of treatment. The sooner you start, the better chance you’ll have to extend your horse’s comfort and athletic career. What Happens if a Horse Breaks a Leg?